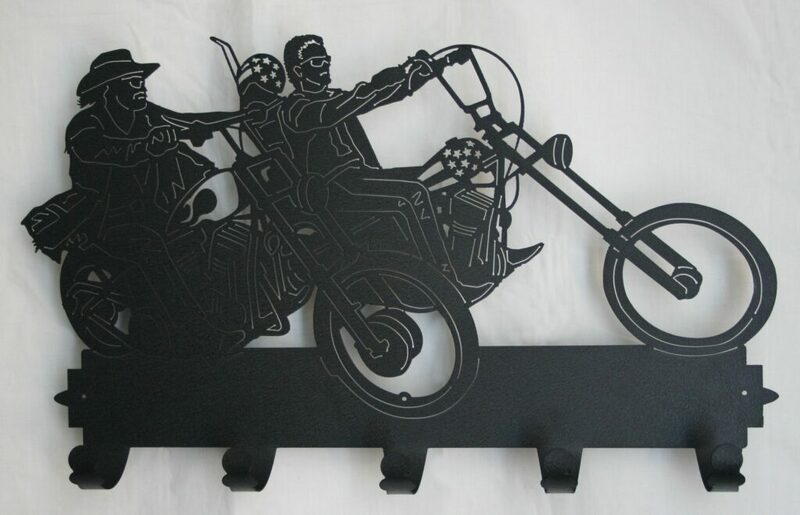 Coat Hooks, Easy Rider - $51.69 (in store)These two Easy Riders show off the detail on their bikes while giving you ample space with 5 hooks to hang and organize your gear! The powder coat color is Black Wrinkle which is an elegantly textured black with soft slate metallic shimmering undertones and matte finish. 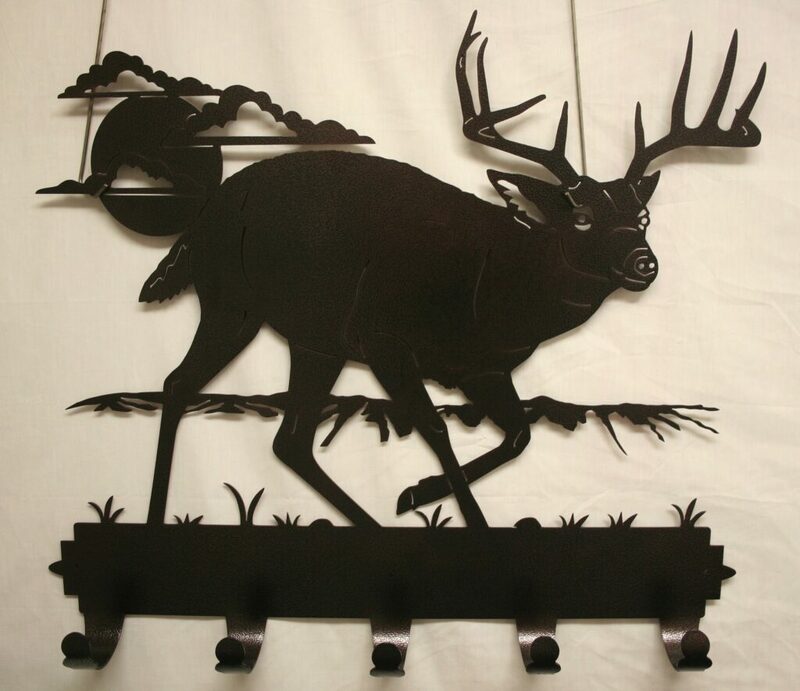 Coat Hooks, Large Buck - $51.69 (in store)Plenty of room on this 5 hook Coat Rack under the watchful eye of this impressive buck to store and organize your coats, hats, accessories or other outdoor gear. The powder coat color is Copper Vein which is a textured, rich, deep brown with slight black undertones with a semi-gloss finish. 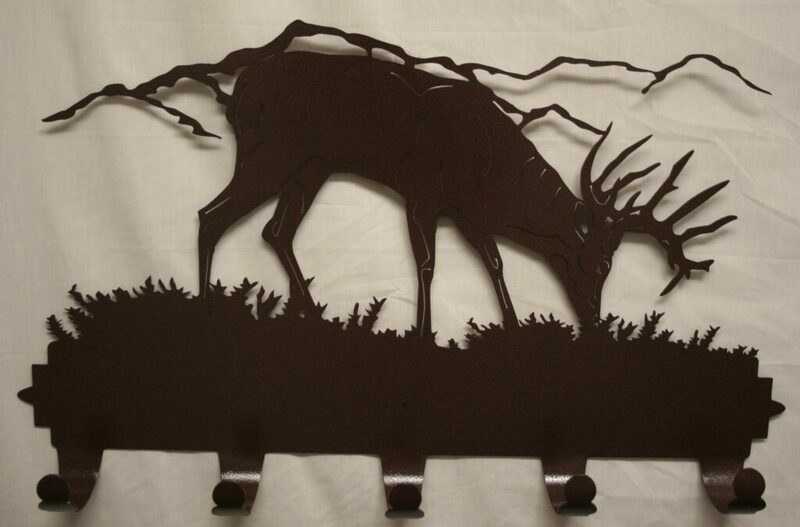 Coat Hooks, Medium Buck - $51.69 (in store)lenty of room on this 5 hook Coat Rack under this foraging buck to store and organize your coats, hats, accessories or other outdoor gear. 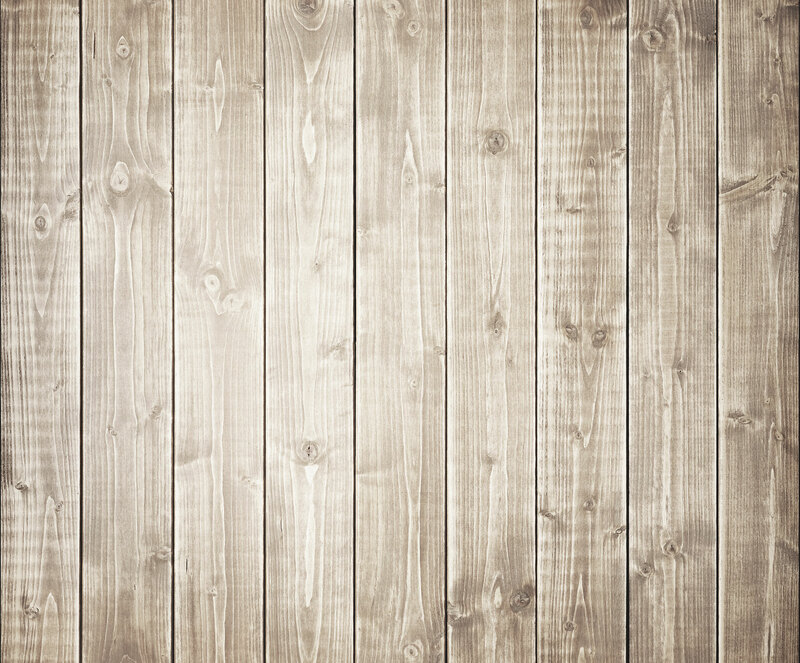 The powder coat color is Rust Vein which is a slightly textured, deep rust brown with a semi-gloss finish.